Dezeen promotion: Danish designer Cecilie Manz has designed a collection of minimal furniture for Gloster, headquartered in Germany. 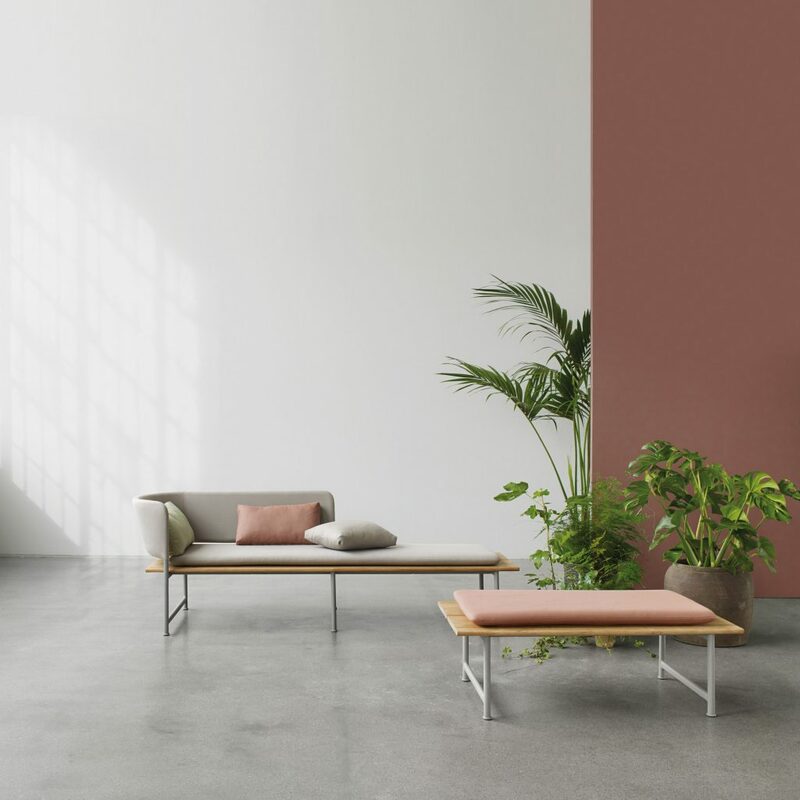 For Gloster’s new Atmosphere collection, Manz has created a series of dining and seating components inspired by the ways that couples, groups, friends and families interact in seating areas. The series includes a chaise longue, two sofas, an ottoman, coffee table, two dining benches and two dining tables. “Sliding down low in comfortable furniture, tucking up legs [and] resting side by side as stories are told and moments are shared” are the mannerisms that influenced the collection said Manz. The items stand lower than standard items of furniture to help create a sense of comfort. “Sitting lower pulls you into a familiar, soothing embrace – welcoming you to unwind and stay longer,” continued Manz. “This is why it felt natural to lower the whole setting, to enhance and welcome this feeling of comfort and quiet – when you wish to have slightly more relaxed moments, even a few centimetres in height makes a significant difference,” she added. The chaise lounge, pieces are accompanied by a sofa and occasional tables that can double as ottomans or “impromptu” benches with the addition of an upholstered pad. To reference more traditional dining while retaining the minimal design, Manz created a dining table accompanied by a matching dining bench. 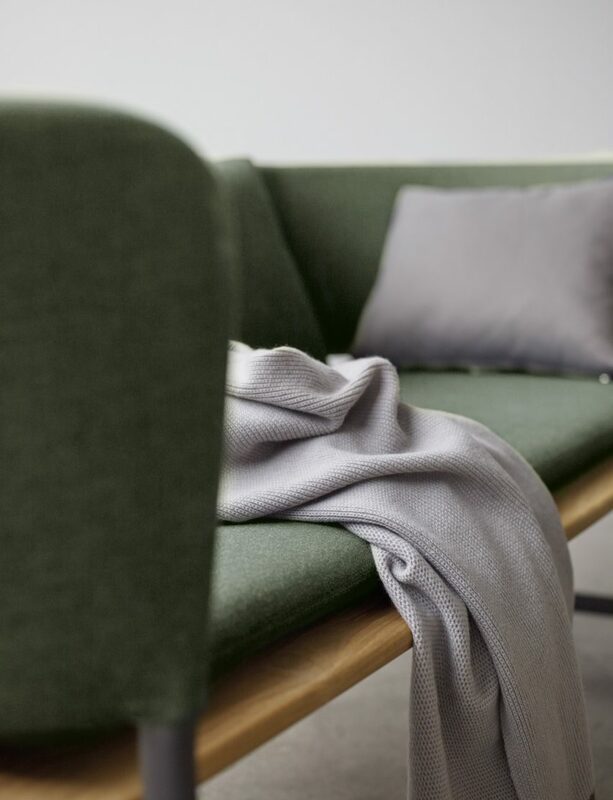 According to the Danish designer, each product boasts slim lines and welcoming, curved upholstered arms and backs that are equally attractive as either stand-alone items or within a collection. The Atmosphere range sees Manz combine powder-coated aluminium frames with Gloster’s signature teak wood and self-supporting upholstered panels. 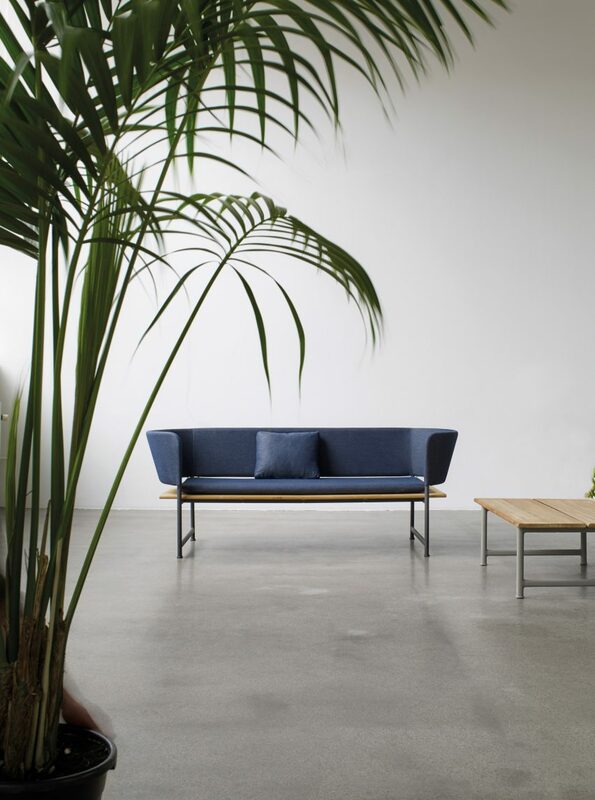 The minimal frames are finished with a resilient powder coating in the colour Fossil, and the upholstered panels are covered with a selection of weather resistant outdoor fabrics by made by Sunbrella. Accompanying seat pads are also available in a variety of matching, muted colours. “The materials in a project should reflect the usage of the pieces. Aluminium and teak are great materials for outdoor spaces, the finish of the metal is robust, and the solid teak gets a beautiful grey patina over time,” said Manz. “Combined with the fabric options, the palette is subtle and harmonious, revolving around muted, sophisticated tones,” she added. The designer has previously collaborated with Bang & Olufsen to design a portable speaker that offers 360 degrees of sound, which was unveiled at Milan design week. Dezeen spoke to Manz ahead of the design week to discuss gender stereotypes in design, when she stated that women are too often commissioned based on their gender, not their portfolio.